Happy 11th Blogiversary to This Tasty Life! This Tasty Life turns 11 years old today! Happy birthday-blogiversary to my little blog! 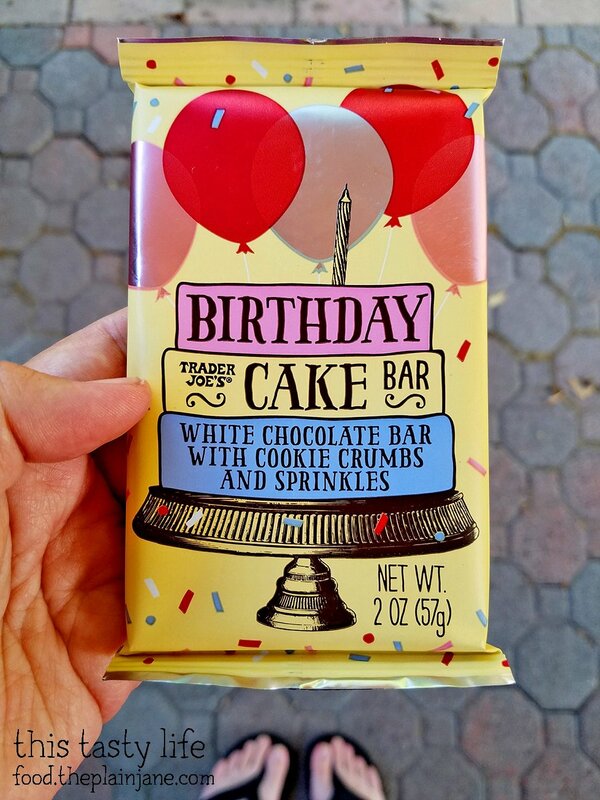 I’ll celebrate by eating this Birthday Cake bar from Trader Joe’s! I’ve been away for a week in Chicago so this will be a short post while I work on some Chicago posts PLUS some Blogiversary giveaways later in the week. Stay tuned! To mark the big “11”, I’ll give you a few lists and then I’m out of here. Short and sweet, just like I said. Look for my giveaways later this week! Thanks for following along and joining me on my foodie adventures! Posted in etc, Marycomment16 Comments on Happy 11th Blogiversary to This Tasty Life! I Love Frozen Yogurt + giveaway! Congratulations on your 11th anniversary! ???? I’ve been loving your blog and look forward to the next 11 years. Happy 11th! 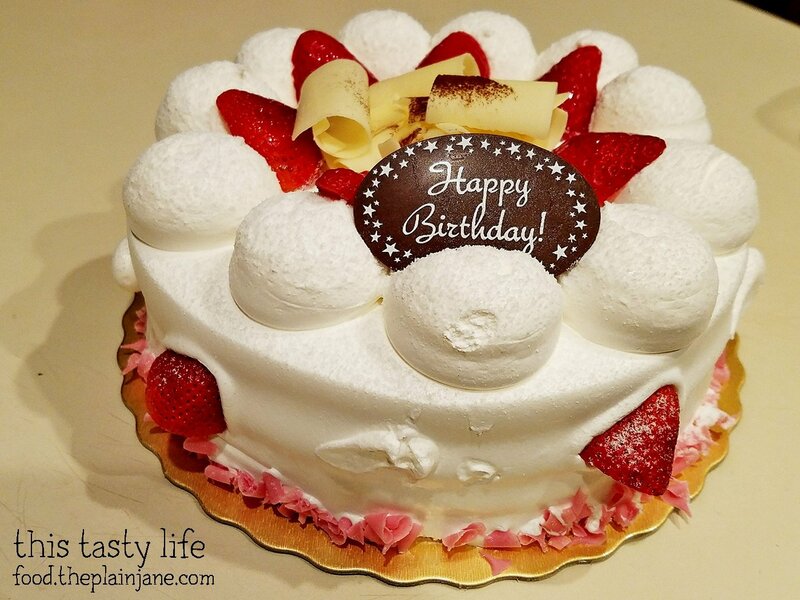 I’ve been following you for a few years now, and always enjoy the yummy posts and your tips for free goodies on birthdays. Yay, thanks so much Susie! Congrats on another year of writing! Is it really 11 already? Gee, I’m not far behind! Lists are fun and I should share some one day. Looks like I’ve been to 6 on your to-visit list but only 1 on your visited list (but I’m sure you’ve been to more than those 11 spots)! Thank you! The time sure does fly by. Haha, yeah, I’ve been to more than the 11 spots. Gotta keep to my “11” theme. Happy 11th! Time sure flies by, I could have sworn you were just celebrating your blogiversary a few months ago! Here’s to 11 more! Isn’t it funny how the time just keeps flying right on by? Thank you! Congratulations on your 11th Blogaversary Mary! I am so glad we met through our blogs and that we are friends in real life. I always enjoy your travel posts (plus quirky road stops), your recipes, and especially your pop culture references. Love it! May you have many more bloggy years ahead of you. Thank you so much! I’m so glad we met through our blogs as well! Jake and I have our passports now so we can start doing some international travels in the future! Heehee, thank you so much!! Hooray, thank you!! You’ve been at it longer than me, my friend!